13 Pierre Gouin, WIMA, Les Editions Outremontaises, Mutopia, etc. Haha... I believe you did ;) But this is about to change... at least a bit. Very soon I'll be allowing people to upload directly onto the visible portion of the US server, which should make it easier. However, deleting files and creating folders will still have to be done by me. Actually... everything is working according to plan ;) Files will only show up under tagging when they are submitted to a work page. There is indeed an orphan file finder, and can be found here. However, for some reason unknown to man (or at least me), there are many files listed there that are not actually orphaned (like the first one). This has been a problem since the upgrade, and appears to continue to be a problem. I will certainly investigate why this is when I get a little more time... but this bug is probably going to be pretty hard to find. This is why, before removing a supposedly orphaned file, it is good to check the work page to see if it is really an orphaned file. Ah... just a small sample should be enough. :) In any case, I think the best thing right now is to not worry about all that needs to be done, especially since this is imo not very urgent (and the to do list for IMSLP is long... haha). The most important thing right now is I think the multi-file template. In the IMSLP HEAD revision I have already made the file submitters use the multi-file template; everything will be fine once I actually put the multi-file template in the code. Hi there Hobbypianist! Apparently the space on the mirror servers ran out. I've already ordered another package, and will be activating it hopefully tonight (if I'm not dead tired), and certainly by tomorrow. In the meanwhile there might be a few files that have file not found errors because the mirroring process failed in the middle. I changed the text in AddFile/MainText, but this is not appearing in the add file page. Isn't this the correct way? Pierre Gouin, WIMA, Les Editions Outremontaises, Mutopia, etc. Darnit... I forgot to make the system insert a default tag on submit. Regarding the date, that was actually intentional, though I think what you say is true; I just did it when I was trying to shorten tags (by the way, all years under 100 are invalid, and will be automatically marked Unknown if chosen). But what you say gave me an idea: would it be more useful to have relative dates? For example, instead of saying 2022, what about +15 meaning that there are still 15 years till it enters the public domain? Would that be easier? The reason I have been so far rather resistant to adding genres is because the genre system as it is is already very broken; it is clumsy, inextensible, and wastes a lot of processing power. This is also the reason I've been pushing for the implementation of the LoC system, but unfortunately that is, of course, currently the least of our worries. Hello. As I read in the forum, a lot of IMSLP regular scanners can't wait until the site reopens and have been scanning in the meantime. I think it would be nice if they receive early access to IMSLP before the reopening. This way they can upload their scanned pool in easy circumstances, as I expect IMSLP will be crowded in the first weeks! On the other hand, the collection of unverified files still has not been cleaned up completely. They could help in that copyright reviewing too. Canadian front - the CIPPIC (my retainer) is currently working on the incorporation of an IMSLP foundation. Once the foundation is properly incorporated, and server transferred, IMSLP will be back online. However, CIPPIC is somewhat overloaded with work; they said that results before Christmas are likely, but that is of course not certain (and Christmas approaching). US front - Michael Hart (PG founder) has shown support for IMSLP, and a willingness to start an US branch of IMSLP (an evolution of the original US server) in a telephone conversation. In addition, Carolus will be contacting Paul Fleury to see if he would be willing to help in IMSLP incorporation in Canada, among other things (see the note I left on his talk page). You probably won't have time for this, but I'll just let you know so you can put it on a to-do list somewhere: the copyright autotemplates are not adapting to 2008 (e.g. 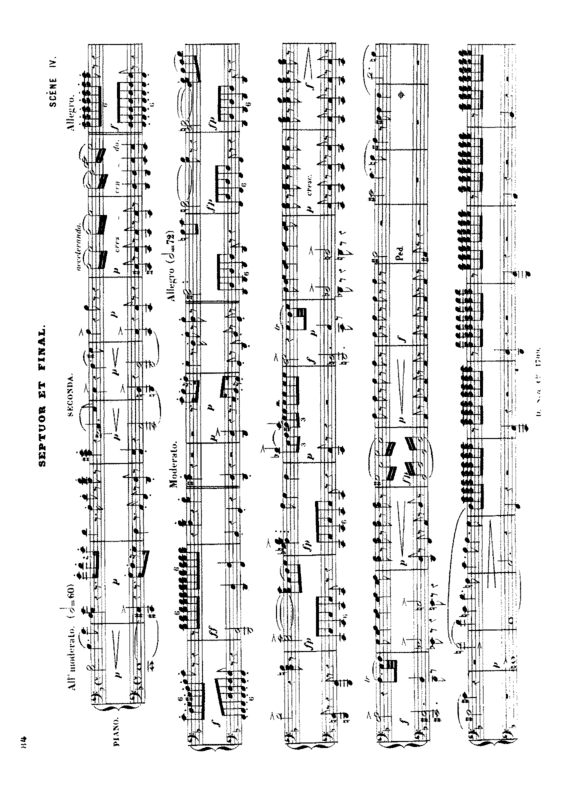 Ravel work pages still get a +70 warning).